With affluent understanding and market expertise, we are engaged in manufacturing and supplying a wide range of Wooden Painted Drawer Chest. Fine Decorative Blue Pottery Ceramic Drawer Available In Different Designs & Sizes. We have antique Camphor Chests which were mainly used to transport tea, silks & porcelain from China to India during the old days. It is a natural repellent and it has a wonderful fresh scent. Prior to the sea trade, Chinese families used camphor boxes to store expensive linens, clothing and important papers. Size: 24" x 16" x 30"
Backed by profound experience of our experts, we are an unparalleled name engaged in providing a high-quality assortment of 5 Drawer Chest. 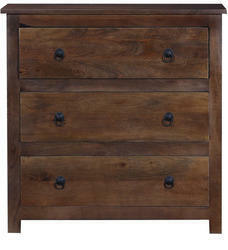 We offer superior quality Wooden Chest, that is aesthetically designed in varied sizes. Sourced from leading manufacturers, these chests are fabricated using optimum quality matured and treated wood. 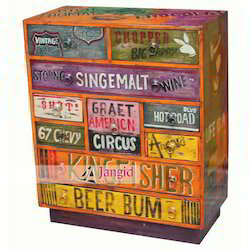 Highly functional, our range also serves as a value addition and a symbolic piece of art too. Offered at cost effective prices, these are ideal for sacking different items in systematic order. Keeping in mind ever-evolving requirements of our respected clients, we are providing a premium quality range of Decorative Wooden Chest.